Investors are underestimating the risks that accompany the shift from an era of quantitative easing to quantitative tightening, according to David Riley, chief investment strategist at BlueBay Asset Management, who says episodes of volatility are increasingly likely. He argues for a focus on high conviction bottom-up picks, with European banks among his favoured sectors. 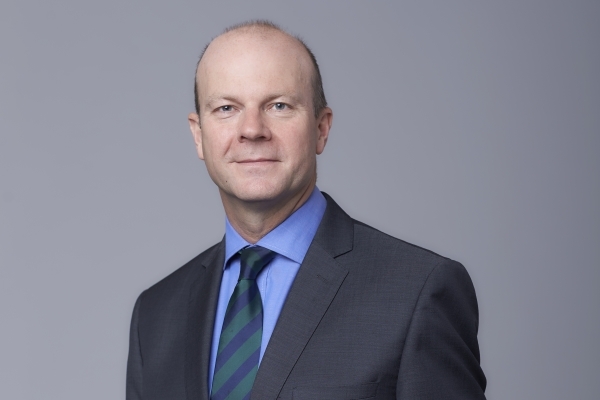 Neil Day, Bank+Insurance Hybrid Capital (BIHC): Were the ECB’s latest announcements in line with your expectations? What sectors will the moves affect most? David Riley, BlueBay: The ECB announcements were pretty much in line with our expectations. We weren’t 100% that they were going to make those detailed policy announcements at the June meeting — there was a possibility they could have delayed the details until July — but the substance was in line with our expectations: a tapering of asset purchases during the final quarter of this year, but the ECB will continue to engage in the market with substantial reinvestments of maturing bonds. The latter are going to be in excess of EUR200bn during the course of 2019, so it’s a mistake for investors to believe that the end of QE means the ECB will no longer be active in European government and corporate bond markets — they will be very active. They actually underscored their commitment to maintaining the size of their balance sheet and — based on our conversations and public comments from ECB officials — there is potentially considerable discretion around how they deploy those reinvestment proceeds. So a maturing Bund won’t necessarily be reinvested back into another German bond — it could go into, say, a five year OAT or even into a corporate bond purchase. One aspect where we were also on the more dovish side versus market expectations and where the ECB did meet our expectations was the strengthening of their forward guidance around interest rates, meaning they will remain unchanged at least through the summer of 2019. This was to us the most substantive policy announcement the ECB made. The market was anticipating that the ECB would start increasing policy rates from June/July 2019. Our base case was confirmed that it will be in September 2019 at the earliest. That forward guidance is very important, because it means that short term interest rate expectations in the euro area are very well anchored, rate volatility will be low, and the yield curve will remain relatively steep. And when you put that together, that’s quite a positive backdrop for European credit — both high yield and investment grade — because the steepness of the curve is part of the attraction for the marginal buyer of additional corporate debt being issued over the rest of this year and into 2019 — with short rates being so low, hedging costs for Asian, Japanese, Taiwanese investors are very low, and when you take into account FX hedging costs, the steepness of the curve and the additional return you get from rolling down the curve, then at the margin it certainly makes European credit more attractive for international investors relative to US credit. So the ECB June meeting was in line with our expectations with the strengthening of the forward guidance, particularly around interest rates, crucial for keeping volatility low, short rates low and the curve steep. That will attract continuing inflows from international investors rotating out of US credit, as well as maintaining the search for yield amongst European investors. Day, BIHC: How does the European rate outlook now compare with that in the US? What do you consider the likelihood of an inflation shock in the US? And if the 10 year UST rises well above 3%, how might this affect valuations of risk assets? Riley, BlueBay: One of the very interesting aspects of latest round of Fed and ECB meetings is the contrast between Fed Chair Jerome Powell and ECB President Mario Draghi in their respective press conferences. 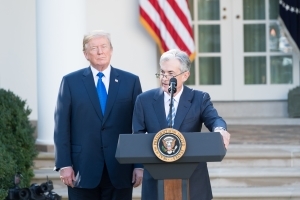 Powell was very bullish, very confident about the outlook for the US economy. He mentioned three or four times that the US economy was doing very well, was very strong, with a positive outlook — if you want a job you can find one. And that the Fed is therefore confident about the path for US interest rates, certainly over the remainder of this year and into the first part of next year, essentially on a quarterly path of Fed rate hikes. In contrast, Draghi was much more cautious, acknowledging that the economy and inflation are still yet to converge towards their targets, that policy needs to remain very easy for very long. I think that the ECB deposit rate will remain negative for another two years — even if the ECB starts raising rates in September 2019, it is likely to be in 10bp or 15bp clips, so effectively another two years of negative rates. The contrast between the Powell and Draghi press conferences really did underscore the divergence in the interest rate outlook for the US and for Europe, and that’s one of the reasons why the dollar gained against the euro. I do think that there’s still a bit of a tailwind for the dollar. Obviously some of this divergence is now within the price and investors are arguably too pessimistic about the outlook for growth outside the US, including Europe. We do think that there is a potential for inflation to be higher in the US than currently expected, so there is some benefit for investors in holding TIPS. In our discussions with corporate management of US firms whose debt we invest in, a recurring theme in management calls is a shortage of skilled and unskilled labour, difficulties in ramping up production, and pressure building on wages. The bias is for inflation to be somewhat higher than is currently being priced, and potentially higher than the Fed itself expects, and that also gives an upwards skew in the rate outlook. And we do think that the 10 year is likely to reach the 3% mark as it did earlier this year. Why not higher than that? In part it’s difficult for it to go dramatically higher than that because global bond yields are so low, and there’s still a lot of disinflationary forces coming from Europe, emerging markets and the rest of the world. If it moves above, say, 3.25% you will start getting buyers, international as well as domestic. It does mean that US cash will become increasingly attractive as an asset and that the Treasury yield curve will continue to flatten. The impact this will have on risk assets obviously depends on a lot of other things that are going on. If that move higher in rates is being driven more by inflation shocks than growth shocks in the US, then that is going to be a headwind for risk assets, for equities and for US credit, and also for other dollar assets, like emerging markets. If the Treasury yield curve inverts, investors may take it as a signal of a pending US recession and risk assets will suffer as a result. If higher US rates and Treasury yields are driven by still very strong corporate earnings growth and above-expectation US and global economic growth, then risk assets will perform positively. Day, BIHC: Early in the year volatility rose quite dramatically, and then recently again there was the Italy episode, in Europe, at least. Particularly against the backdrop of QE being gradually wound down, is this a period where we are likely to see more such episodes? Riley, BlueBay: One of the key investment themes we had coming into this year was a transition of investment regime from the quantitative easing era to a quantitative tightening era, led by the Fed. Not only is the Fed raising interest rates, but it is shrinking its balance sheet, and the pace at which the Fed reduces its balance sheet is going to increase through time as the scale of redemptions of assets it holds increases. And not only is the Fed raising interest rates, but we think that the so-called “Fed put” — the notion that the Fed will always come to the market’s rescue — is increasingly out of the money, so to speak, because the Fed is clearly much more confident that the economy is near full capacity with unemployment at a multi-decade low, inflation around its 2% target, and the US economy growing above trend. Against that backdrop, and with a balance sheet that continues to shrink, the Fed is going to be much less sensitive to market moves when it comes to potentially delaying any further policy tightening. What does that mean taken together? QE suppressed market volatility and asset price dispersion, and QT — quantitative tightening — will be the reverse as the Fed’s “short volatility” position is wound down. And we’ve seen that, as you alluded to. We saw that in the short volatility ETF blow-up, the widening in US Libor over risk-free rates; we’ve seen that within emerging markets, and we’ve seen it in Italy. That’s not to say that each of those episodes didn’t have their own catalyst, but the market reaction to those idiosyncratic risks is much more violent because the Fed in particular but also other central banks including the ECB have less room for manoeuvre now to provide additional support to markets. The ECB is providing as much support as it can and trying to supress volatility with its forward guidance, but it is on a path, albeit gradual, towards exiting that QE era. So we are definitely going to see more of these episodes of volatility in global financial markets during the course of this year and into next, and that’s a fundamental shift in the investment regime that investors are still having to adjust to. Day, BIHC: How are you adjusting to it? Riley, BlueBay: In our regular review of portfolios we are shifting towards more concentrated positions in high conviction bottom-up picks, relative value and where we think there is a fundamental mispricing. There is even more emphasis on individual corporate credit and country selection, and looking to benefit on the short side as well as the long side from the increased idiosyncratic risk and volatility in the market. Along with that we are having fewer portfolio fillers, taking more cash, and actively using liquid hedges to manage our market risk through those episodes of volatility. For example, during the recent Italian BTP spread-widening we were using the iTraxx senior financials index and Crossover as a way to manage and reduce the mark to market drawdowns on some of the risk exposures that were impacted by volatility in BTPs. Something else that we’re constantly reiterating is that you need to be clear about, as part of your selection, the targets and the stop-losses that you have in place, and be disciplined in adhering to those stop-losses and booking profits when you’ve realised your targets. Then we’ve been doing a lot of sort of stress-testing around our portfolios. One of the challenges with value at risk type models is, as you know, that they place a lot of weight on recent correlations and levels of volatility, so we do think that a lot of investors relying on VAR models are actually to some extent underestimating the amount of volatility and market risk they have within their portfolios, because the underlying data and assumptions in those models reflect what has been a low volatility environment. So we have been stress-testing based on higher volatility environments, and sizing our positioning in our portfolios accordingly. And another final aspect is that in a higher volatility regime associated with the end of QE era, we are seeing investors shift into alternative strategies that are focused on generating positive absolute returns and capital preservation and away from portfolios tracking benchmarks that have more rate risk than yield and bias investors towards the largest and most indebted borrowers. Global multi-asset, long-short and unconstrained strategies or those with greater leeway to run significant tracking error against benchmarks are, we think, best placed to perform in the transition from QE to quantitative tightening. Day, BIHC: Geopolitics — it’s unpredictable, but on balance do you feel that, firstly, it’s more unpredictable than you were expecting at the beginning of the year? And secondly, are the things that are most challenging going to fundamentally affect the macroeconomic outlook? Riley, BlueBay: This is a difficult one that we do grapple with. Taking a step back, we recognise that politics in general is becoming more populist, and that renders politics and policy more important and less predictable, and this does spill over into international relations and geopolitics. We’re clearly seeing that played out right now in Europe, we saw that play out with Brexit, and also with President Trump and his actions, and of course we have ongoing risk as part of that, for example in the Middle East. So it is something that is an ongoing drum-beat and potential source of worry that markets have to face, and a source of uncertainty investors have to deal with. In practice, it’s very difficult to construct portfolios around tail risk events like a potential conflict on the Korean peninsula. It’s just very, very difficult to do that. So until those geopolitical tail risks becomes fatter, if you like, there’s not much, frankly, investors can do to prepare for that, other than having — as every diversified portfolio should have — some safe haven assets, or assets that are less correlated, and a diversification of sources of return along with the ability to actively hedge and manage your market risk using liquid derivatives. The biggest single concern that we have — and when I’m talking to asset allocators they also raise this with me — is the potential for a global trade war, for US-EU as well as US-China trade conflict to escalate and trigger a global economic downturn. I think that remains very much a tail risk, but trade barriers are stagflationary — in the short term at least, it implies higher inflation and lower growth. Equity and other growth-sensitive assets will suffer but core fixed income will provide only limited diversification in portfolios because of higher inflation and rates. The risk is clearly greater, but we still consider a full global trade war that would have meaningful global macro effects to be a tail risk rather than a central one. And most of our focus on the trade side has been where we think there are individual countries or sectors that are potentially vulnerable, and where there might be opportunities for us to take a position, either on a relative value basis or in long-short strategies. Day, BIHC: You have previously said that bank debt is something you favour and you used the phrase “European bank healing”. Given where we were 10 year ago, you’d have hoped things might have healed a bit. But what particularly are you thinking of there? Riley, BlueBay: There are two fundamental but related drivers of our view on the European banking sector, and the opportunities that it offers investors. One is that European banks in aggregate are dramatically stronger than they were prior to the financial crisis — even if there clearly is a lot of dispersion across the industry and within national banking sectors. It’s typical that the sector that was at the centre of a credit blow-up tends to be the one that makes the biggest adjustment — either forced on it by regulation, or by management, shareholders and creditors who are scarred by the experience. So when the next credit downturn comes, that’s actually the sector that tends to do the best and proves to be the most resilient. Banks are much better capitalised and much more liquid than in the run-up to the global financial crisis. Non-performing asset quality is continuing to improve, because of growth, but also as banks reduce their non-core, non-performing assets through asset sales and restructuring programmes. In our view, there is a structural shift to a much more resilient banking sector that still has some room to go. In addition — and linked to the regulatory changes that banks are facing — is a secular trend of disintermediation of European banks. As in the US, banks will not be the primary source of finance for the corporate sector and Europe is following suit. Although European banks are lending again, the growth rate and actual overall lending to the corporate sector, especially small and mid-sized business, remains low. So in our view banks are improving from a creditor point of view, but they are also gradually being disintermediated. And there are ways in which you can access this theme of European bank healing as investors. One is through direct lending, and we’ve been engaged in that since 2011 with a direct lending programme, lending to small and mid-sized businesses across Europe, providing them with flexible capital that banks are no longer able or willing to provide. Depending on the risk and liquidity profile of the end investor, that’s one way in which you can tap into this thematic and get paid for being a provider of liquidity in addition to credit risk. Another way is through stressed and distressed credit strategies, buying packaged loans that might be performing but still have distressed credits within them, and then working with those businesses to restructure their businesses and generate value. And then a third way you can tap into this theme, which is the most liquid way, is through European bank capital strategies, directly accessing the various tiers of European bank debt capital and the opportunities that provides both as a source of yield, of income, and some capital appreciation and alpha generation, too, which we believe there is room for over the medium term. Day, BIHC: There have been some names that are still difficult — can you drill down a bit? And what do you make of the kind of returns that are available on instruments like AT1? Riley, BlueBay: Our approach in European bank capital is that we would rather have the national champions and move down their capital structure than have weaker institutions and be more senior in the capital structure. One of the reasons for this is that we do think there is an ongoing mispricing between some of the senior and legacy subordinated bank debt versus CoCos or Additional Tier 1. The experience so far — with Banco Popular and some of the restructurings we saw in Italy, for example — has been that if a bank does get into severe trouble and require restructuring then in practice not only is the equity wiped out, not only are the CoCos, but actually you can then get the Lower Tier 2 and even the most senior parts of the capital structure being subject to some level of loss. So we would rather take exposure in to what we consider solid institutions with an improving credit profile — including those in the so-called periphery — and then move down the capital structure rather than have weaker banks and imagine we are being mitigated against that risk by holding the senior debt. Santander in Spain, HSBC in the UK, UniCredit in Italy — these are the sort of institutions that have strong and improving fundamentals, and where you are still getting an attractive level of yield, 5% plus, in holding their subordinated debt and in particular their CoCos. Day, BIHC: Are there any particular other risk factors to watch out for looking ahead, or risks you consider either overdone or underestimated? Riley, BlueBay: There are a lot of moving parts for investors to have to contend with, and this in an environment where volatility is going to be greater structurally. Systemic risk in Italy is one of the risks that’s still currently overstated, with too much priced in. 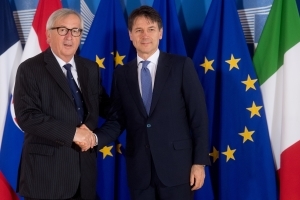 In our view the current Italian government is likely to prove more durable than many expect. It is more focused on immigration and electoral reform than a wild or big fiscal easing and confrontation with Brussels and the rest of Europe over its very large deficit. And the commitment to the euro is actually still very strong within Italy, both among the political class and the public, so that risk is overestimated. Regarding any risks that are underestimated, investors are still in my opinion underestimating the significance of the increase in cash rates in the US and the transition to a post-QE regime as the Fed hikes rates and shrinks the balance sheet. The re-emergence of cash as an asset class for US investors at least and more episodes of volatility is leading to a broader repricing of risk premia and assets more generally. In a world characterised by greater volatility and uncertainty despite positive macro fundamentals, investors are going to have to be more nimble and flexible in their approach to portfolio construction.